I woke up this morning to some great news from Amazon.com. The company announced not one (as earlier posted) but four new Kindle e-readers, with prices starting at US$79. On the Amazon website, CEO Jeff Bezos called the new devices the "best Kindles we've ever made." 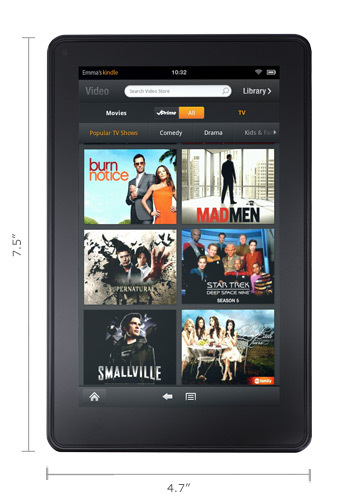 The top of the line among the new Kindles is the Kindle Fire. The Kindle Fire offers Wi-Fi connectivity and a web browser called Amazon Silk which will use cloud computing to speed access to content over the Internet. The device is basically a souped up version of the Kindle with a 7-inch color touch screen. Many pundits are claiming that this gadget is the only real threat to Apple's iPad. For one, at US$199 it is really way cheaper than Jobs's tablet. However, Kindle Fire does not come with a camera, a microphone and a 3G connectivity which may not appeal to those who want to these features. One of the things that stopped me from considering Kindle Fire is its backlit screen. I have a first generation iPad and I have to admit that I find it hard to read on it for a long period of time. Unless Amazon can transpose e-ink technology, I think this gadget will be good for consumption of other media, namely music, magazines and movies which does take long periods of time. What I am considering is the new Kindle Touch. 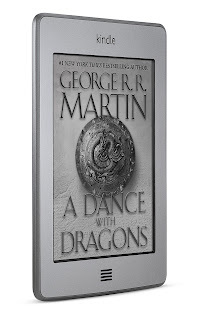 This new addition to the Kindle family comes with an easy to use touch screen to make it easier to turn pages, all you need to do is tap to turn a page. 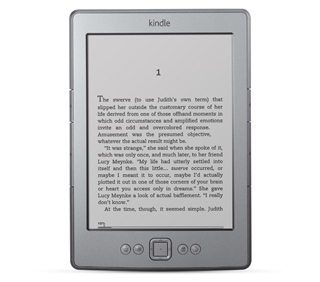 It still comes with e-ink technology and connects through Wi-Fi for access to the Amazon Store. It is only 6 inches and is lighter at 7.8 ounces. Battery life is also great - it can last for two months on a single charge without the wireless connection. If you leave the wireless on, it will still work for 6 weeks on a single charge. I would really want to know more about the X-Ray Feature of this gadget. 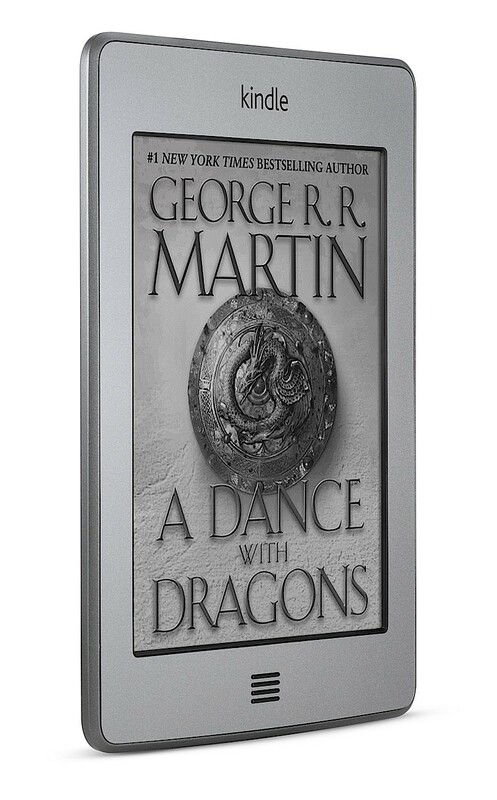 Amazon explains it as "a new technology that lets customers explore the 'bones of the book'." It says that with just a single tap, readers can see all passages across a book that mention ideas, fictional characters, historical figures, etc. that interests them. I think it's worth exploring. A 3G enabled model of the device will also be available. The Kindle Touch will be available at US$99 with special offers. What this simply means is that you will receive special offers and sponsored screen savers. 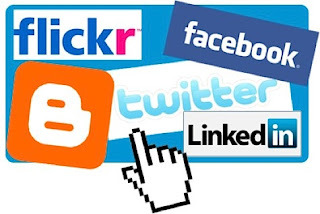 However, these will only appear when you are not using your device or at the bottom of the screen. Amazon promises that it will not interfere with our reading. If you don't want these special offers then opt for the one that does not come with it, priced at US139. Prices for the 3G enabled model start at US$149. Both models will be available on November 21, 2011. If you don't want a touch screen model, there's the Kindle. 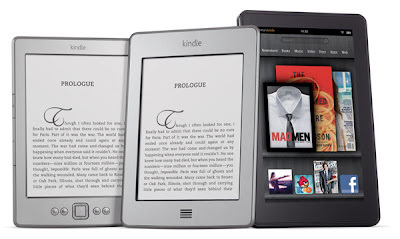 The new latest generation Kindle is for readers who want the lightest, most compact Kindle at an incredible price. The latest generation Kindle features a new design that is 30 percent lighter at just 5.98 ounces, 18 percent smaller, and turns pages 10 percent faster. Kindle is now small and light enough to fit easily in your pocket and carry with you everywhere, yet it still features the same 6-inch, most advanced electronic ink display that reads like real paper, even in bright sunlight. It comes with a price tag of only US$79 and is available starting today at Amazon.com. What do you get when you put alternative rock musicians in a tribute album of songs from the Muppet Show? The Muppets Green Album , a fun to listen to album that will surely bring back great childhood memories. I got to download this album recently and I listen to it a lot. Artists like Weezer, My Morning Jacket, Airborne Toxic Event, Alkaline Trio, Amy Lee among others gave the Muppet songs a new treatment but remained close to the original material. Unless you've been living under a rock for the last two decades or so, the songs included in the album are known to many of us who were around when the Muppets were on TV. My all-time favorite, "Rainbow Connection" was beautifully performed by Weezer but Hayley Williamson sounded like she just got out of bed. My Morning Jacket did a terrific job on "Our World" that it sounded like a big production number. Kermit's song, "Being Green" was also included but it sounded more hopeful and less wallowing in self pity. The one that's becoming a favorite from this lot is Amy Lee's cover of "Halfway Down the Stairs". This one really brings back a lot of childhood memories. With lyrics taken from an A.A. Milne poem, it is a poignant ode to childhood. While some people hated it because of Lee's goth rendition, I personally think that she gave it a new texture. It sounded so ethereal. I just don't understand why The Fray decided to sing "Mannah Mannah" exactly the same way as the original or why OK Go sounded like they were drunk in the Muppets Opening Theme. But they're still worth listening than one or two songs that I cannot stand. The one that I skip a lot is the irritating "Night Song". I couldn't stand it because it's too loud and noisy. Nevertheless, Muppets: The Green Album is worth listening to. Unlike other tribute albums which leave you wondering why it was even made at all, this album is fun and something that you would want to listen to over and over. It's simply muppetational! The Philippines is in the news again. A giant salt water crocodile was recently captured alive in a small municipalty in the Southern province of Agusan del Sur. The reptile measured at 21-foot in length and weighed a ton. The picture below clearly shows the size of the animal. By the way, in case you're asking, the man on that croc is the mayor of the town. He was interviewed on the radio this morning and I was able to catch a big chunk of it. He said that they named the crocodile Lolong in honor of their team leader who died of a heart attack while they were pursuing the reptile. 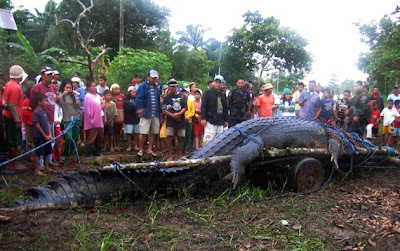 According to the Mayor, the reptilian behemoth was first spotted along a creek dragging a carabao. Some 50 or more members of a religious sect witnessed the event while they were crossing a bridge over the creek after their worship services. This prompted the Mayor to seek the help of the Department of Environment and Natural Resources (DENR) in capturing the croc. The Mayor also said that it took them three weeks to capture the beast which also destroyed a number of traps. He also related that one night while they were surveying the known habitat of the animal, their flashlight/torch beam caught two pairs of eyes in the creek, suggesting that this giant may have a mate still lurking in the waters and marshlands. The creek, according to the Mayor, is considered a "crocodile highway" and traverses at least seven municipalities in the Agusan Province. The Mayor added that the croc was estimated to be 50 years old. The group that helped them capture it also advised them not to kill the animal because, aside from a law protecting the species, it also helps in the maintenance of the ecosystem in the area. The community was advised not to venture in the known habitat of the reptiles after sundown since that's the time they are most active. 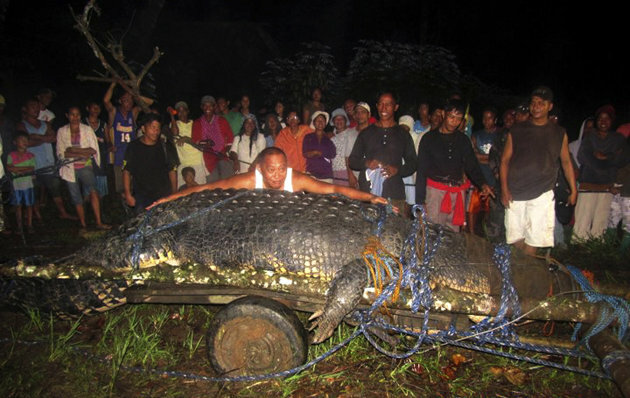 Newspaper reports that some crocodile hunters are on the hunt for a bigger one in the waters of Agusan. But we all know that there's another kind of crocodile that's more vicious, hungry and greedy than the one captured in Agusan. The problem is, they are all over the place and we're all their prey. Two weird but very real stories on the Internet caught my attention last week. One was about a woman who thought she got an iPad for a bargain at $180 only to find out later that it was made of wood and obviously a fake. The other one was about another woman who bought a laptop for $250, which turned to be a bunch of papers wrapped in packaging tape accompanied by a power cord. What made these stories even weirder is that it happened in the same city: Spartanburg, South Carolina. The modus operandi was almost similar. 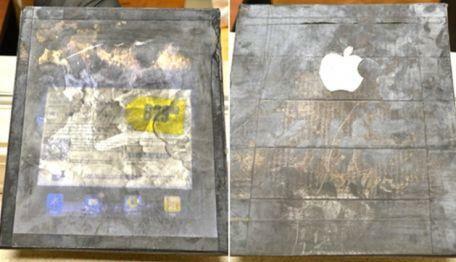 Victim was approached by two men who offered bargain priced laptops, iPad and other gadgets that were in a shipping box. Both crimes happened in a parking lot, one in McDonald's and the other in a gas station. Both women didn't open their package until they get home, only to find out that they've been bilked of their money. My first reaction after reading these stories was that, these women could have been victimized by a budol-budol gang member. For the uninitiated, this gang operates in the streets of Manila showing their would be victims a pile of money inside a bag. The gang would ask the poor unsuspecting person for some cash or to withdraw something from the ATM since they needed to buy something. Upon getting the money, they would give the bag to their victim and promise to comeback for it after they bought what they needed. They also promise the victim that they would give some of the money in the bag for helping them. The victim could wait the whole day and they would never return, and when he opens the bag he finds a bundle of cut-up newspapers and no money. Some of the victims would swear that they actually saw a thick bundle of money in one-hundred peso bills. Others would report that they felt like they were hypnotized or seduced by the person who approached them that's why they willing handed them money or withdrew some from the ATM. But many suspect that it was just the lure of easy money that got the better of these people and made them give up their cash. So could it be that budol-budol gang has transferred their operations to South Carolina? But wait, the report said that the women did not see the "merchandise" until they reached home and opened the box. Perhaps it's just a case of two persons who thought they snagged a bargain that was too good to be true. Unfortunately, it was really just like that: too good to be true. There have been a lot of rumors about Amazon.com releasing its own tablet this year. Well, Techcrunch's MG Siegler seems to confirm it today in an article where he claimed that he has actually seen and played with the device. Unfortunately, as part of their deal, he is not allowed to release any photograph or image of the gadget. Siegler reports that the device will sport a 7-inch, colored, and backlit capacitive multi-touch screen. He describes it as something that looks more like the Blackberry Playbook than any other tablet around. It will also run on a stripped down Android built specifically by Amazon without the help of the Google people, so it is not like any Android we've seen so far. Instead, it is something that revolves around the Kindle application. All the Amazon services will be a click away and that would make this different from the rest of the iPad wannabes. Like Apple, Amazon has a host of available services that its loyal costumers are already using and they will offer them a simple to use device that will give them access to all of these services. 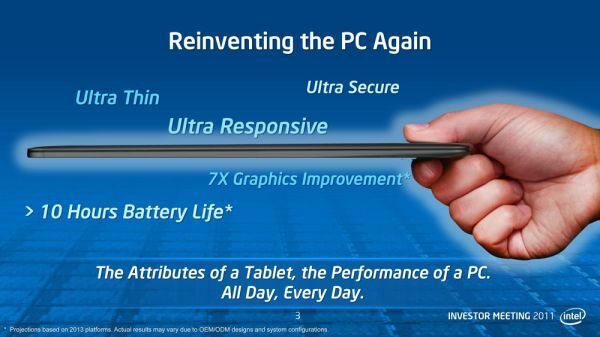 What other tablet can give you that? It may not kill the iPad but it can give it good competition. So what will happen to the Kindle Reader? Siegler supposes, and I agree, that it will co-exist with this new device. Reportedly, Amazon is doing just some minor tweaking with the software before it releases the product in November. The article added that it is not yet in production though. Amazon Kindle Tablet will cost less than its competition at around US$250. I am very interested to have my hands on this baby! If you're one of those who miss the number keys in the Apple Keyboard, fret no more. Mobee intoduces a solution to your problem, the Magic Numpad. The Magic Numpad is a set of three films with custom number layouts that you attach to your Magic Trackpad. Yes, you need a Magic Trackpad for this to work. It is compatible with both Mac OS X Snow Leopard and Lion. Mobee says all you need to do is to stick the magic film of your choice on the trackpad, install the application and voila! You instantaneously have a magic trackpad and numpad in one single device. You can easily switch between the trackpad and numpad in three ways: tapping on the upper right button; use the F6 key on the keyboard; or use the menu on the software. A downloadable software also allows the Magic Numpad to display an onscreen calculator that can do simple calculations. Mobee also included a textile for cleaning your Magic Trackpad and the films, an application card to reduce bubbles, as well as a marking pen so you could customize the look of your numpad. The device is now available for pre-order on Mobee's site at $29 each and will be available in October 2011. Sony announced yesterday the market launch of not one but two Sony Tablet™ devices: the Sony Tablet S and Sony Tablet P devices that come with unique design and content that make for an engaging entertainment experiences. First to be available by next month is the curvy Sony Tablet S device with a 9.4-inch touchscreen display optimized for rich media entertainment. 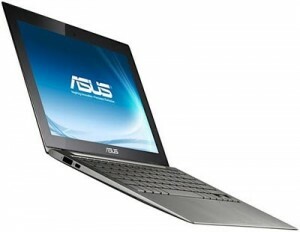 It comes with a powerful NVIDIA® Tegra™ 2 mobile processor and weighs in at just about 1.33 lbs. What makes it different from all the available devices in the market is its unique asymmetric design which resembles a folded magazine. According to Sony, this makes it comfortable to use even for hours shifts the device's weight closer to your palm, making it feel lighter and more comfortable while reading an e-book or watching a video. The screen is sloped when placed on a flat surface, enhancing visibility and making typing more comfortable. The built-in Wi-Fi® compatibility means Internet connectivity virtually anywhere there's a hotspot. You can place the Sony Tablet S device on a specialized charging cradle (sold separately) which converts the device into a digital photo frame, a digital clock that displays customizable information or chumby with access to over 1,500 fun and entertaining apps. 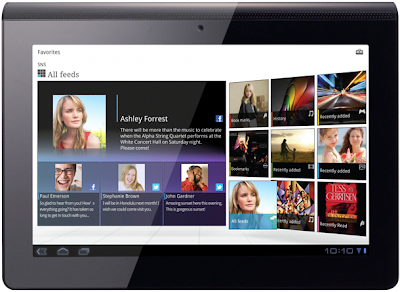 Coming out later this year, the Sony Tablet P device is ideal for mobile communication and entertainment. With its innovative folding design, two 5.5-inch displays and weight at about 0.83 lbs., it can easily fit into a pocket, purse or backpack. It features the same NVIDIA® Tegra™ 2 mobile processor and is both Wi-Fi compatible and 4G capable for Internet connectivity on the go. A specialized software allows the device's dual screens to be used for different functions simultaneously such as playing video on one screen while using the other as a controller or reading email on one screen while using the other as a virtual keyboard. 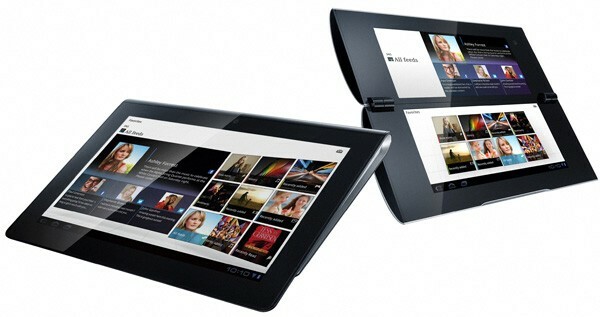 The displays can also be combined to form a single large screen for Internet browsing and more. By holding the device vertically, you can also read eBooks much in the same manner you would a physical book. Both devices run on Android, Android 3.1 on Sony Tablet S devices and Sony Tablet P devices will be equipped with Android 3.2 by the time they ship. This could be a factor for some because the number of available Android Apps is still limited. Sony, however, included the Reader software and access to the Reader™ Store and its more than 2.5 million titles of bestsellers, new releases, classics, magazines and more. You can also connect these devices to other Sony products like the PlayStation and Sony Bravia TV sets to play media content. These devices can also work as remote controls for your TV sets. The two devices also feature front and rear facing cameras that allow for video recording and capturing still images. The devices also support micro USB interface and SD card. 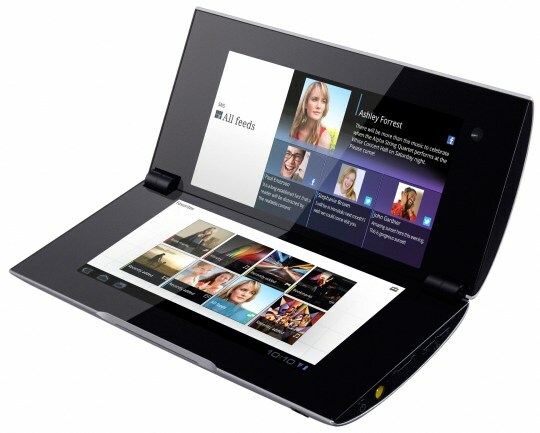 A range of optional accessories includes a cradle, AC adapter, LCD screen protector, carrying case and USB adaptor cable for Sony Tablet S devices, and a rechargeable battery pack, AC adapter, LCD screen protector, carrying case and detachable panels for Sony Tablet P devices. A Bluetooth keyboard is also available for both models.